The InWellness Assessment helps you understand your strengths, be aware of your true passion for change and provides you professional support to implement the steps to your goals. Research based - cost effective - unique personalized design. 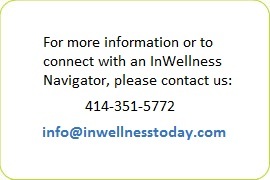 The InWellness Assessment can be taken anywhere with access to the Internet and a telephone. 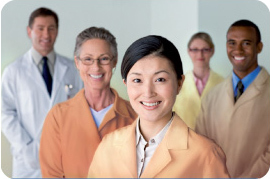 connects you with wellness-oriented providers matched to best fit you and your needs when you want specific resources. Navigator Interview in person or on the phone with a highly trained InWellness Navigator who will help you create an effective personal plan and the means to sustain it. Why assess wellness as well as health? As humans with a genetic makeup tuned to survival, we tend to first notice what is not working with our bodies - from disease to judgements about our looks. Current research is showing that a focus on weaknesses and disease does not correlate with health and happiness. It is a focus on our strengths and employing them pleasurable with a positive return from our world that leads to genuine long term satisfaction. The Wellness Inventory is a holistic assessment and life-balance program designed to help you gain personal insight into your state of physical, emotional, and spiritual wellness. The Inventory measures your wellness in 12 major life areas as well as your strengths, weaknesses and motivation to change in each area. The program offers guidance and tools to transform new awareness into sustainable lifestyle change, and a renewed sense of health and well-being. The Way I See It is a twenty-one item online inventory that measures your participation in five of the most prevalent belief systems in the world today. An individual participates to some degree in all systems, but each person tends to centralize his or her beliefs in one or two systems. Systemic themes are relatively permanent facets of a person's character. The Way I See It measures these themes, "how one thinks and believes" rather than "what one thinks and believes." There are no right or wrong answers. The results indicate the values, methods of learning and motivational systems which are optimal to each individual. An InWellness Navigator is an experienced health professional who will review the results of your Wellness Inventory and The Way I See It with you and help you select your wellness goals based on your strengths and weaknesses, motivation for change, available resources and provider match according to your modality and client/provider profile correspondence. For more information see our Wellness Navigators page.